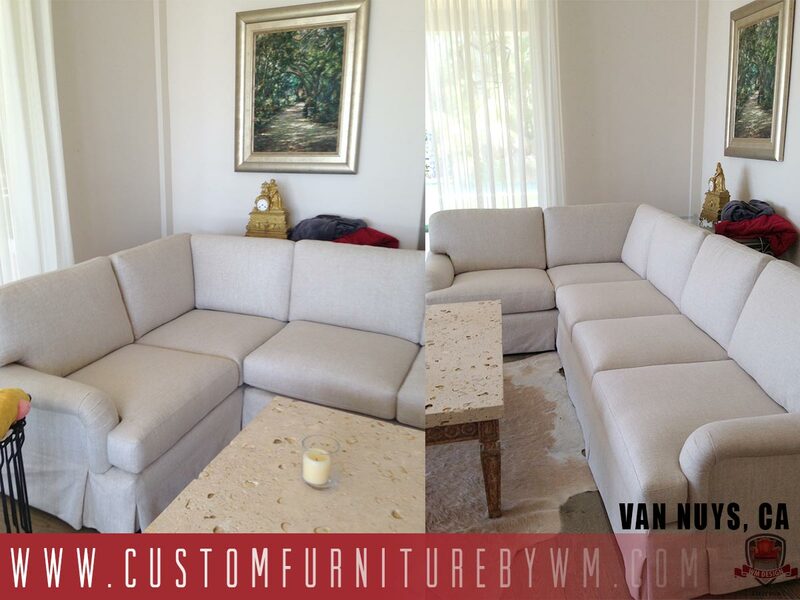 At WM Upholstery Factory we full custom made sofas in Van Nuys California. Direct from Our warehouse in Van Nuys California we have our Custom Sofas Factory, building great sofas with unique design. 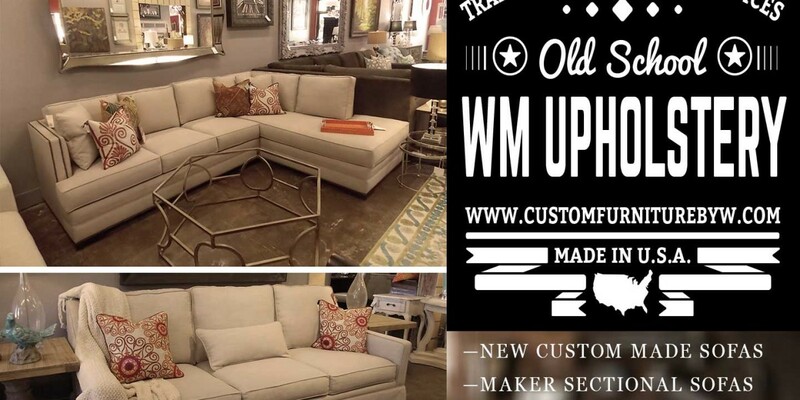 WM Upholstery is specialized in one thing, quality sofas made to any specifications or style. We do all custom made sofas residential or commercial sofas. Why buying a sofa already made if we can Custom built it for you at low cost? Well, WM Upholstery has the ability that nobody else has to build exactly what you as for. Customized sofas or sectional are our specialities; just give us the measurements, sketch, picture and we will do the rest. Our warehouse is located in the heart of Van Nuys CA, 14739 Oxnard St Van Nuys California 91411. Most of retails stores sale sofas whit frames and springs very cheap and low quality. The frame is made out of pine and springs the gage it is to wide does not resist too much weight. But our sofas are build with industrial specification for long heavy every day use. Make our sofas at our factory. Tips: Look under the cushions put your hand over the Upholstery and touch it, if you can feel the spring that mean it is low quality. We help you design a truly unique sectional for your home. Our quality it is warrantee. Our factory uses the best material made in use, starting with the frame 100% natural hardwood. More Styles sofas, Custom Tufted, English arm, Chester Field Sofas, English Arm sofas, Sofa bed, Sectional Sofas, any sofa made to the order at our company.